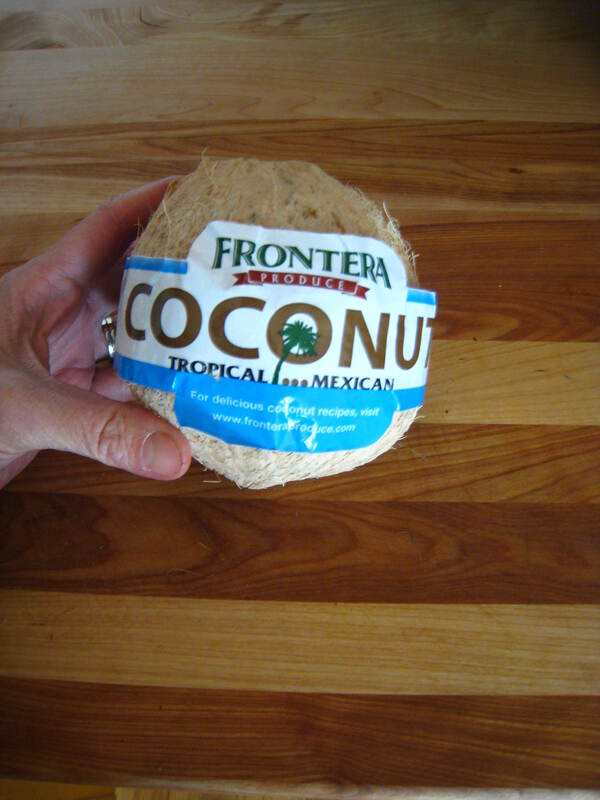 This entry was posted in Cooking, Food, humor, Produce, recipes, Uncategorized and tagged coconuts, cooking, fear, food, food trends, humor, kitchen, postaweek2011, produce, recipes, self-discovery, women. Bookmark the permalink. 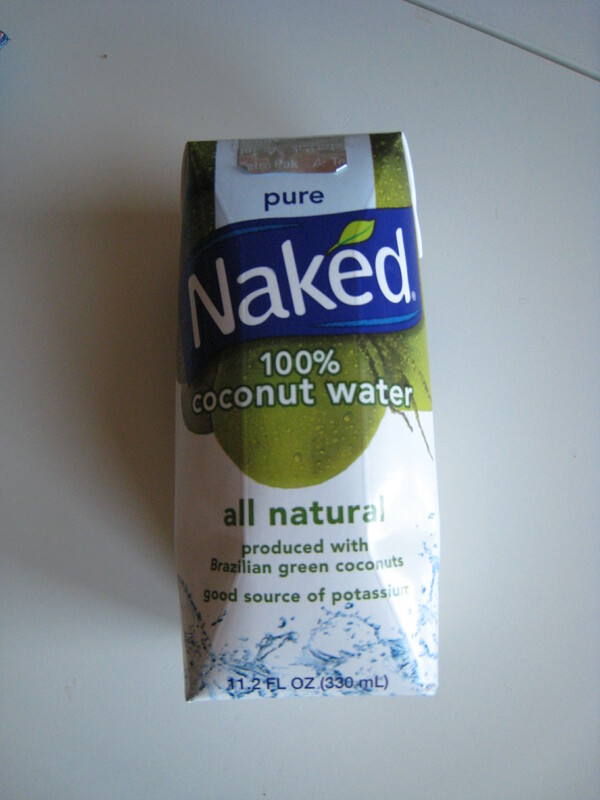 I want some of this coconut water now! I looooove using coconut in everything. 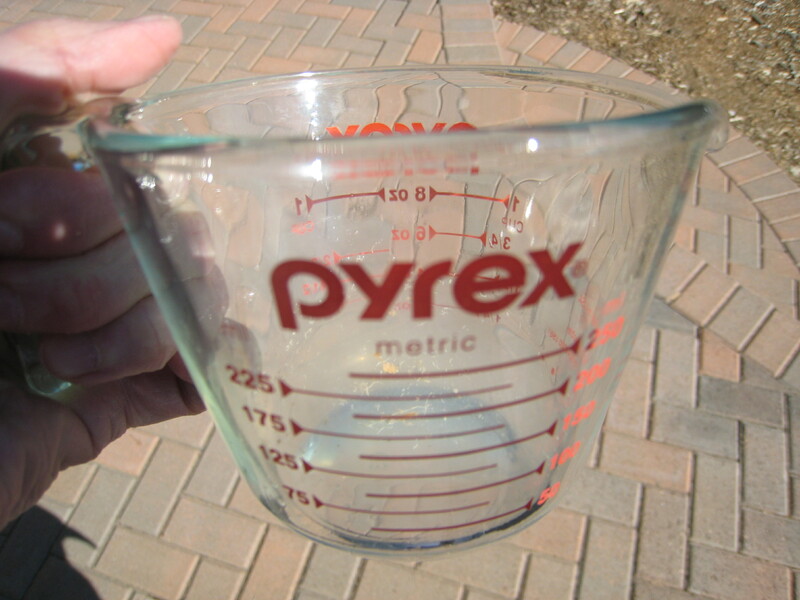 We use coconut oil, water, and milk in a lot of our recipes. Wow that is fabulous. Any recipes to share? … You can usually prise the meat away from the shell fragments by inserting a (blunt) knife (butter knives are great for this) between the two and twisting the knife along its long axis. A lot of work but think of the sense of achievement you will feel at the end!!!! I can tell you one thing: I don’t have the patience for extracting my own coconut milk! the cleaver STILL scares me just looking at it. I placed it back in it’s plastic container I bought it in and tucked it away. You do realise that cleaver is plotting its escape … and revenge? 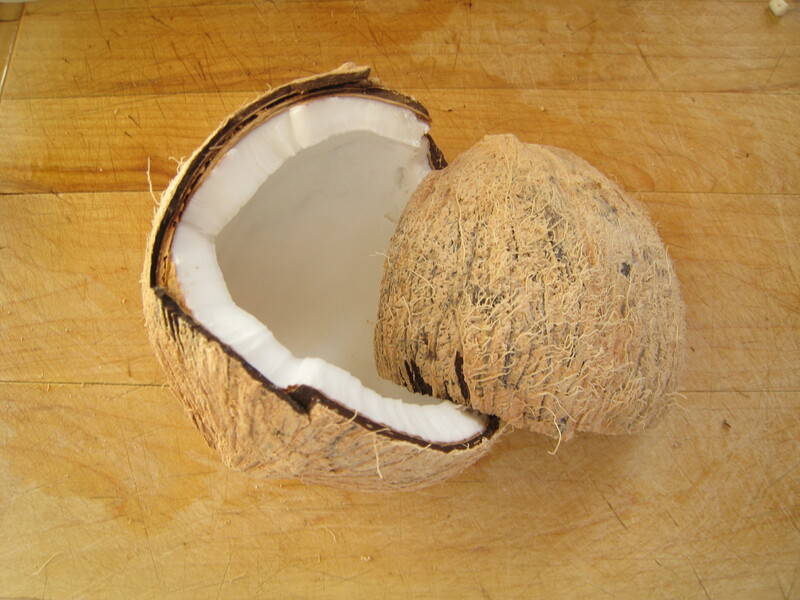 I was taught – many, many years ago – that an easy way to get the coconut “juice” out of a coconut was to use a hammer and a clean nail. Widdershins only uses the hammer later on it appears. 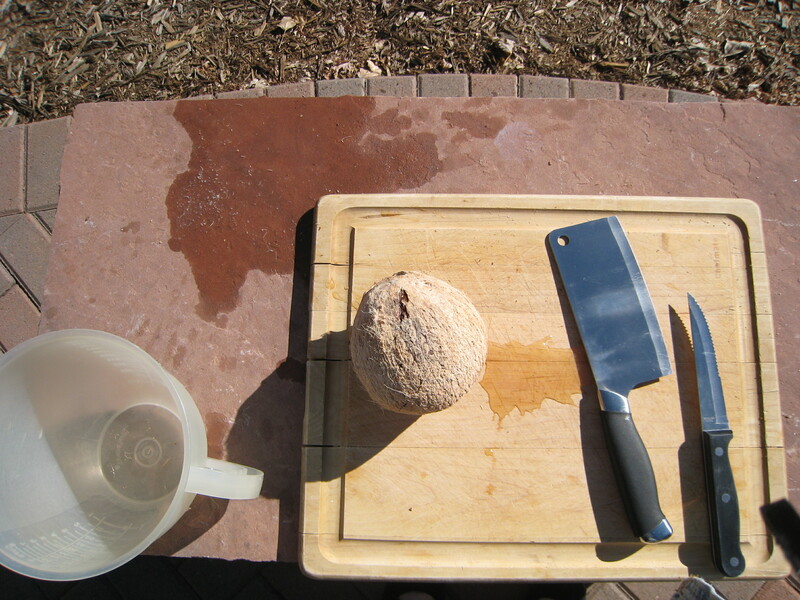 Tap the (clean) nail into an eye of the coconut, then tap it into another eye – that way one does not have to wait for the juice to slowly emerge because the second opening is to let the air in to replace the juice. 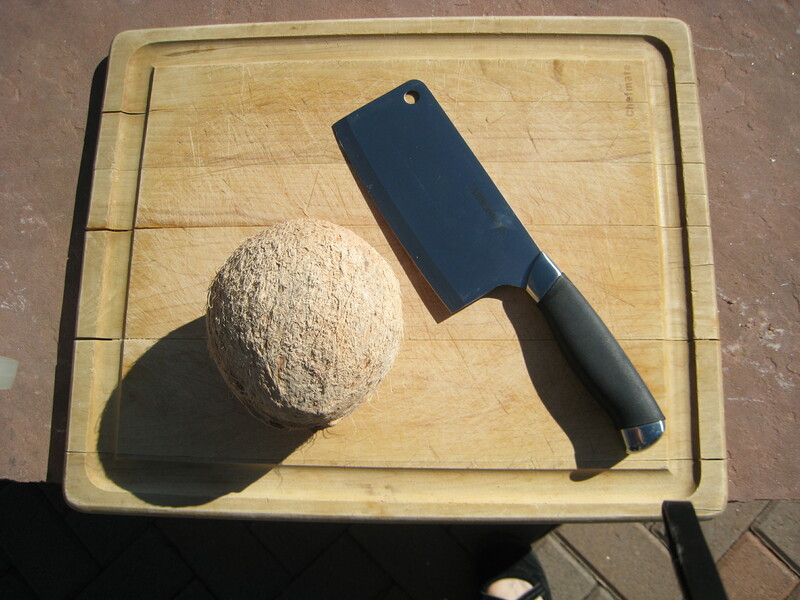 As for shaving the meat of the coconut … I’ve never done that. Chunks were what I was after – peeled like widdershins said – but while still warm from the oven. Showing my age perhaps, but when did it become coconut water? In my day I only ever heard of it as coconut milk. Good question about the milk part. maybe it was milk but it was pretty thin and looked like water.